But if the social life provided by the residential park lifestyle is not enough, there is an exciting, welcoming and surprisingly rich world of opportunities for those of a gregarious spirit or an enquiring mind. 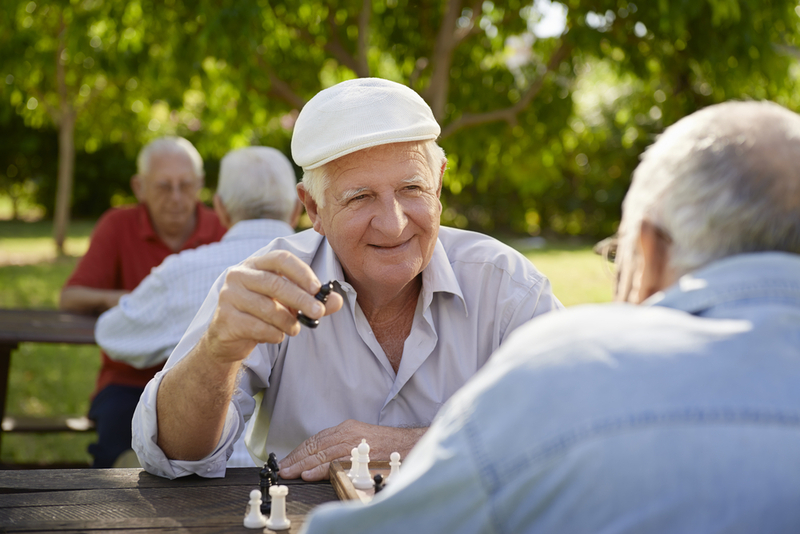 This month, in association with Barton Group we look at some of the web sites, clubs, societies and associations who offer a welcome to adventurous and sociable ‘seniors’. According to its web site, U3A (University of the Third Age) is a UK movement of retired and semi-retired people who come together to continue their educational, social and creative interests in a friendly and informal environment. Formed over 30 years ago, there are now over 1,000 U3As across the UK, with thousands of interest groups between them and more than 400,000 members nationally – growing every day. A full list of branches can be found here. A web site called Retirement Expert has a host of ideas for clubs and activities – it even has a section on dating! This is what they have to say on the subject of looking for romance later in life. “As more elderly people are becoming more knowledgeable and confident in their ability to use the internet, it’s only natural that they’ve also embraced the concept of internet dating, which is an area which has become increasingly popular in general. “Like any form of dating such as an introduction agency, you’re always going to get people who aren’t always what they say they are, and you’re highly likely to encounter quite a few frogs before you come across a prince (if you’re a woman), not to mention a host of exaggerated claims about looks, employment and background. “However, as long as you follow some basic safety precautions, internet dating is no less safe than any other form of introduction service and can claim quite a few successes in putting two like-minded souls together who might never have met without going online. Retirement expert also has an entire section devoted to finding clubs and activities that are perfect for active retired people. They point out “One thing newly retired people can sometimes find hard to come to terms with is the amount of free time they suddenly have on their hands. Suddenly going from a structured busy work day to a day where you have to find something to fill the time can be quite a culture shock”. As they point out, there is only so much gardening you can do, and the social interaction of work is not always easily replaced. Joining a club is a great way to meet people with the same interests. Even if you can’t participate, being surrounded by people who share your passion, is the next best thing. Local schools and colleges offer a host of classes – so don’t let age or reduced mobility stop you taking up a new challenge. This might be more of one for the “boys”. After all, who hasn’t got a favourite car from the past? It may be an unaffordable dream or just a classic that you love. Either way there will be a club full of enthusiasts who just love being around classic and vintage cars. Better still you don’t need to own one to get involved – all you need is the shared passion for “messing around with cars”. From Austin to Zastava you will find an A – Z of clubs here. Meanwhile Classic and Sports Car Magazine is available from Newsagents and it contains details of car shows across the UK- a great opportunity to meet fellow “anoraks” and “petrol heads”. The Ramblers is a both a club and a campaigning organisation who do their best to ensure that both the urban and rural landscapes are kept open and safe for walkers of all ages. And who can argue with that? Their website is www.ramblers.org.uk and is a perfect starting point to find new friends and get involved. The web site claims that “all of our groups exist to help people get out and about and enjoy the benefits of walking. There are over 500 local Ramblers groups around Britain – most likely there’ll be one right next to where you live. Going along on a few walks is the ideal way to get to know your local group. There’s a group for everyone. Most often our groups cover a geographical area such as a town or local district, but we also have groups who focus on shorter, easier walks. Joining a group is great for your social life. By doing an activity you all enjoy you’re likely to meet people who you’ll get on well with and be able to have a laugh with – and you could end up making long-lasting friendships”. Most people have heard of Saga – but maybe not Silver Surfers. Saga is a portal of offers and services designed for the lifestyles and needs of people who are 50 plus. But their web site saga.co.uk also contains all sorts of ideas and articles on health, holidays and gardening. Right now, you can subscribe to their magazine for just £12.00 for 12 issues. “We have a wonderful community at Silversurfers, with thousands of members actively involved and enjoying participating in our Forums, Chat, Showcase and Speakers Corner. So, there you are – whatever your interests are, there is bound to be club where like-minded people meet – either in person or on line! At Barton Group, we hope this article has provided a starting point for you to find a fulfilling social life! ← How do you decide which park home is right for you ?